Parish Contact Workshops: The Office for Pastoral Care for Persons with Disabilities provides support, resources, and training through Parish Contact/Advocate Workshops held at accessible locations throughout the Archdiocese at least twice a year. Parish Contacts/Advocates are asked to attend, parish staff and parishioners are welcome to attend. Spring Meeting in the works! Click on these links for resources. 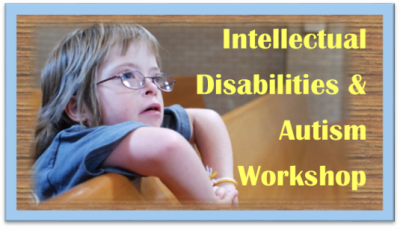 General Trainings: Staff and volunteers can assist in coordinating and giving presentations on topics related to the meaningful inclusion of Persons with Disabilities with parishes, schools and parish religious education programs.